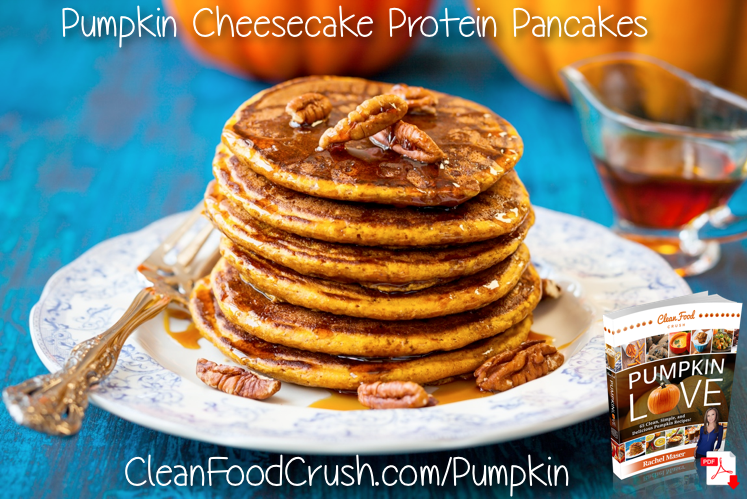 From the Clean Food Crush Pumpkin Love Cookbook! In a blender, process the cheesecake ingredients until smooth. Set aside. In a food processor or blender, grind the oats into a fine powder. Heat a griddle to medium-low heat. Drop pancake batter onto griddle and cook until the top starts to bubble, then flip and cook the other side. Drizzle with cheesecake topping to serve.